The 18-year-old sergeant was killed in action on September 5, 1918. His body was returned to the United States and was laid to rest in Crown Hill Cemetery in his hometown of California. The Jobe-Elliott American Legion Post 17 in California is co-named in honor of the late Sergeant John Jobe. Born October 1, 1918, Harry F. Goldammer is pictured in 1958 while serving as commander of the American Legion Post 5 in Jefferson City. As a requirement of the Selective Training and Service Act of 1940, Goldammer registered for the military draft on October 16, 1940. At the time of his registration, he was employed at Exchange National Bank in Jefferson City. Military records indicate he enlisted in the U.S. Navy on November 22, 1941 and went on to serve as a storekeeper at the U.S. Naval Air Station at Dutch Harbor, Alaska, which had been constructed in response to the growing threat of attack by Imperial Japan. In the years following his discharge, Goldammer returned to Exchange National Bank and became very involved with the Missouri Synod of the Lutheran Church, serving a term as president of the Missouri District of the Lutheran Laymen's League. The WWII veteran was also a frequent award winner for speeches given as a member of his local Toastmaster's Club. Goldammer passed away on September 13, 2009. Whitney Cummings Keys was born in King City, Missouri, on August 20, 1920. While attending Washburn College in Topeka, Kansas, the 20-year-old enlisted the Naval Reserve on July 11, 1941, several months prior to the attack on Pearl Harbor. He went on to train at several stateside locations to include Kansas City, Kansas and Jacksonville, Florida, and earned his aviation wings in March 1942. The officer served in Alaska beginning in July 1942 and three months later was sent to the South Pacific. He was assigned to the USS Saratoga and participated in a number of naval engagements, which included the Battle of Guadalcanal. Sadly, Keys died May 30, 1943 from injuries sustained in a plane crash after only 22 months in the service. The remains of the Missouri veteran were returned to the United States in 1947 and interred in Cavalry Cemetery in Los Angeles, California. 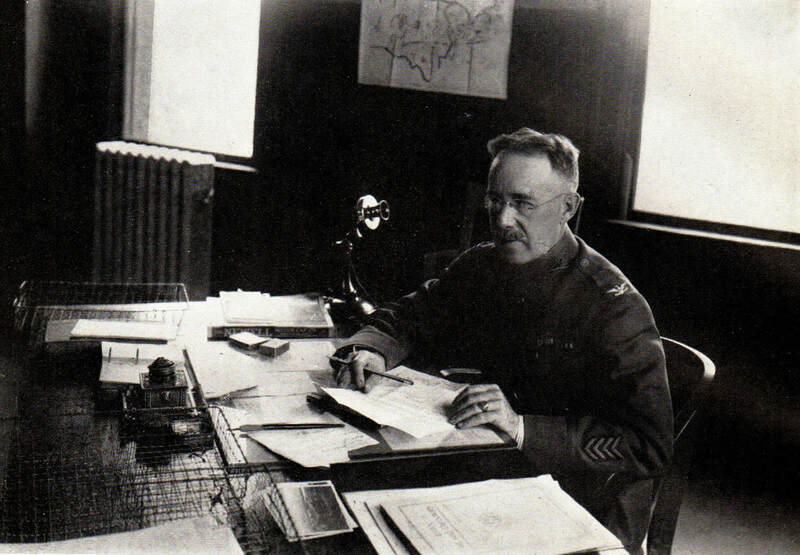 Colonel Halsey E. Yates is pictured in 1922 while serving as commander of both the military post at Jefferson Barracks in St. Louis and the Sixth U.S. Infantry, which was stationed at the post. An 1899 graduate of West Point, Yates passed away in 1963 and was laid to rest in the Los Angeles National Cemetery. Charles L. Yost was born July 9, 1916 in California, Missouri and went on to graduate from the local high school. 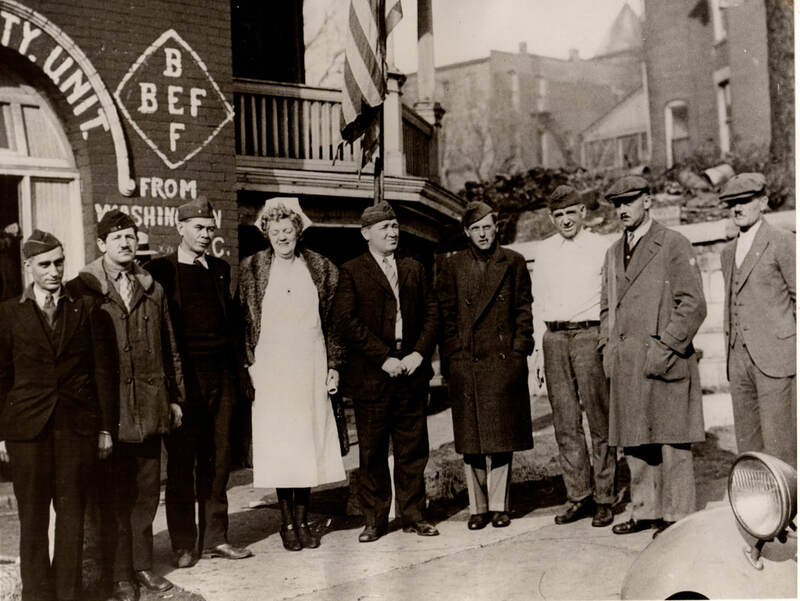 After graduation, Yost traveled to Detroit, Michigan to work in the automobile industry, which is where he was employed when he received his induction notice of the U.S. Army. Yost was later assigned to the U.S. Army Air Forces and trained as a bombardier aboard a B-17 Flying Fortress. The second lieutenant perished along with three other officers and four enlisted personnel when their plane crashed and burned during a combat training flight on May 4, 1945, eight miles from their base at March Field, California. The body of the married airman was returned to California and laid to rest during funeral services held in the Evangelical Cemetery. A color guard for his burial was provided by the nearby Sedalia Army Air Field (now Whiteman Air Force Base). A "Bonus Army" comprised of approximately 350 World War II veterans made their way to Jefferson City from Springfield and other areas from throughout the state in 1946 to demand a vote on a $400 bonus payment for each of Missouri's veterans who served in the war. 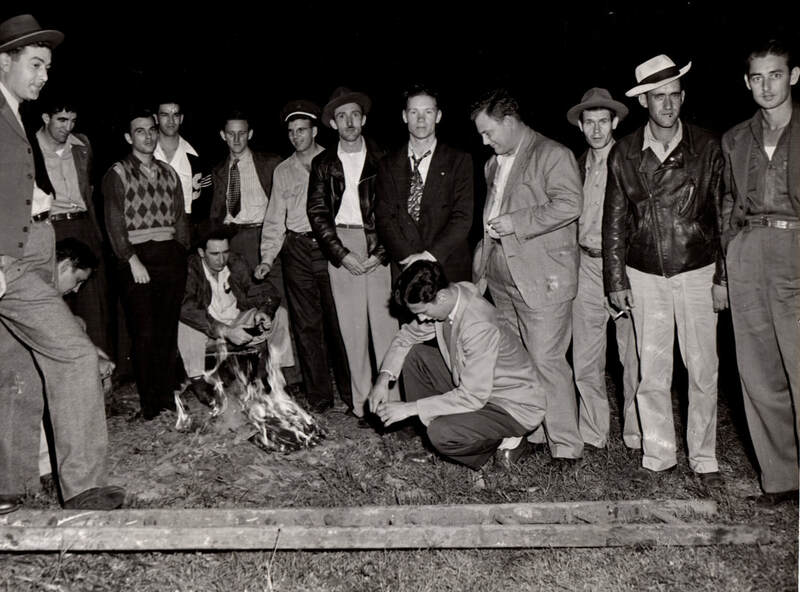 The march was formed after the state legislature twice failed to pass bonus legislation The group came by train, car and truck, some of whom are pictured in the early hours of September 28, 1946 warming themselves by a fire in Washington Park in Jefferson City while waiting for the offices at the Missouri Capitol to open. The request was not without precedence as the state passed legislation in 1921 to provide bonus payments to veterans of the First World War. This photograph of an unidentified airman was taken at the former Malden Army Airfield in Malden, Missouri in March 1945. Construction of the airfield began in 1942 as an installation of the Eastern Flying Training Command and the first class of aviation cadets entered training in April 1943. The base is reputed to have had a military population of 3,000 at one time; however, it was declared excess and deactivated in 1948 after the need for training fields diminished with the war's end. The airfield was reactivated in 1951 as Malden Air Base with the 3305th Training Squadron assigned to the base the same year. Anderson Air Activities, an Air Force contractor, helped oversee the flight training to prepare aviators to serve in the Korean War. The 3305th was deactivated in 1960 and the base was closed. The former military airfield was turned over to the City of Malden and the property has since transitioned to an industrial park and regional airport. 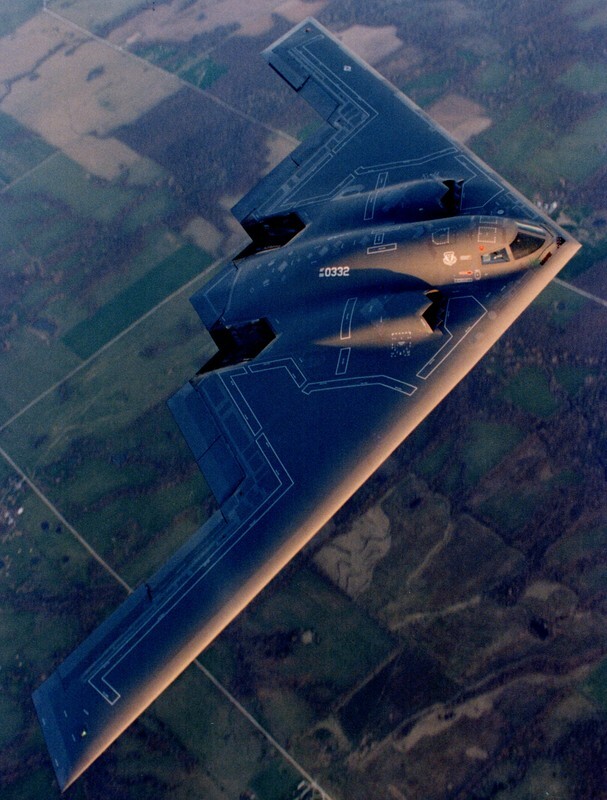 A B-2 Spirit "Stealth Bomber" is pictured in flight while performing an operational training mission from Whiteman Air Force Base in 1995. Shaped like a boomerang with a serrated rear section, the aircraft is 69 feet long and 17 feet high with a wingspan of 172 feet. In recent years, the B-2 has been used in conventional bombing roles in strikes in the Iraq War and against Libyan forces. From the home of the B-2 fleet at Whiteman AFB, the flight time to Iraq and back is 38 hours and includes 4 to 5 aerial refuelings. 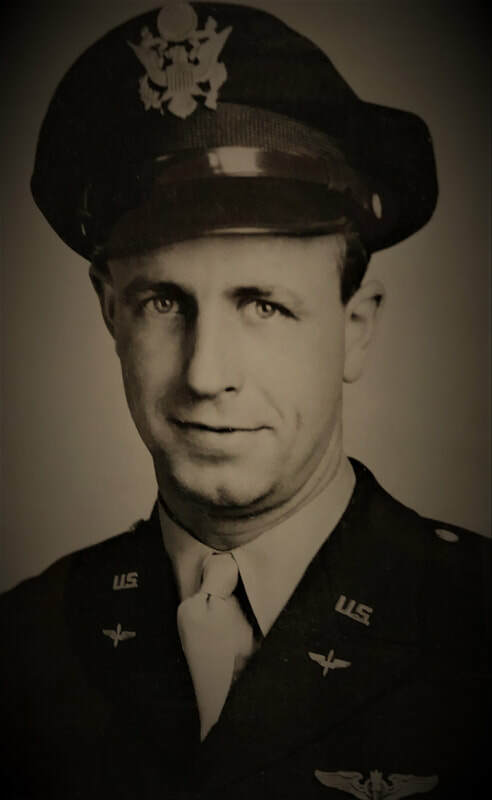 Colonel Ralph Bagby, formerly of New Haven, Missouri, had served as a pilot during World War I and was called into service during the Second World War to help plan the airborne operations for the D-Day invasion. The 48-year-old colonel's story really grows interesting when he went AWOL from his 9th Air Force Staff duties prior to the invasion and hitched a ride with a group of paratroopers on an Allied glider and made his first parachute jump during the beginning stages of the invasion. The group he was with went on to attack German fortifications and gun positions. According to the June 11, 1944 edition of the Oakland Tribune, the former Missourian "went along to 'see how things were going,' has been reprimanded and will be decorated." The paper further noted, "As a staff officer he was not supposed to take an active part in the operations."